Toast the town and enjoy Downtown Indy nightlife! 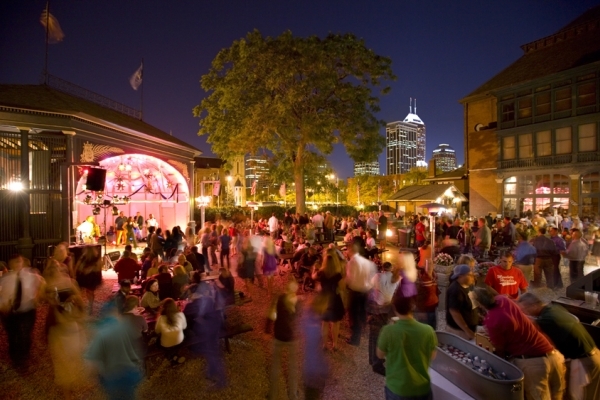 From outdoor beer gardens to artful lounges, Downtown Indy offers a fun night on the town. 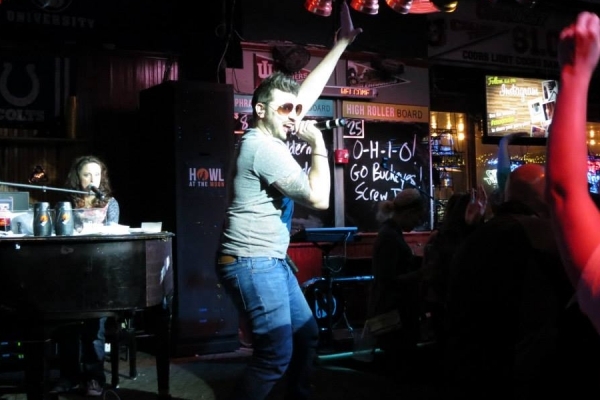 For a howlin' good time, head to Howl at the Moon located right on Georgia Street. Dueling pianos and total crowd participation create a venue that is one part bar and one part concert. Plan to hear everything from classic rock, to hip hop, to pop. Don’t miss tasting one of their signature 86 oz. buckets. The Slippery Noodle Inn is a must-visit for all fun-seekers. As Indiana's oldest, continually operated The Slippery Noodle Inn is by far the city's most well-known after-hours attraction. 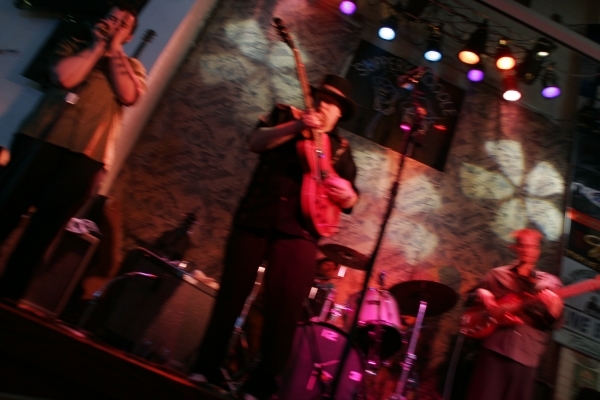 Touted as the Midwest's premiere blues club, the live music and friendly atmosphere has attracted the likes of Harrison Ford, Dave Matthews, Robert DeNiro, Spike Lee and others. Wings, beer and sports. That’s what Buffalo Wild Wings is all about. 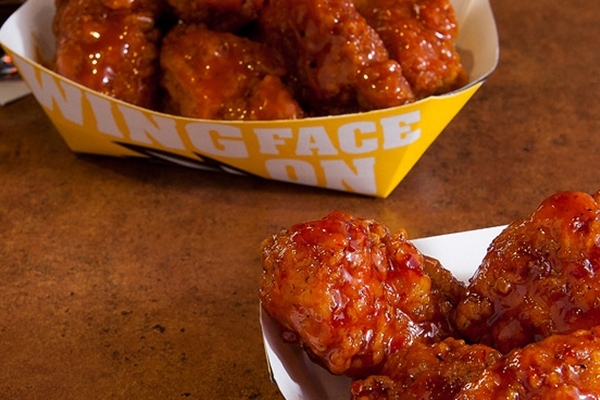 The restaurant, located on East Washington Street, has more than 30 flat screen TVs and several types of wings including Buffalo, New York-style and boneless wings. Situated on the ground floor of the JW Marriot is one of Downtown Indy's most exciting sports bars. High Velocity blends action-packed games with an upscale yet casual atmosphere. Groups can book a table or private dining room and try out their new full service bar. Kilroy’s Bar and Grill, located on Georgia Street within walking distance from Lucas Oil Stadium, Bankers Life Fieldhouse and the Indianapolis Convention Center, offers more than 40 flat screen TVs, shuffle board, games and an outdoor patio. The pepperoni stuffed breadsticks and long islands are a must try. This is a 21 and older bar. IU fans welcome! 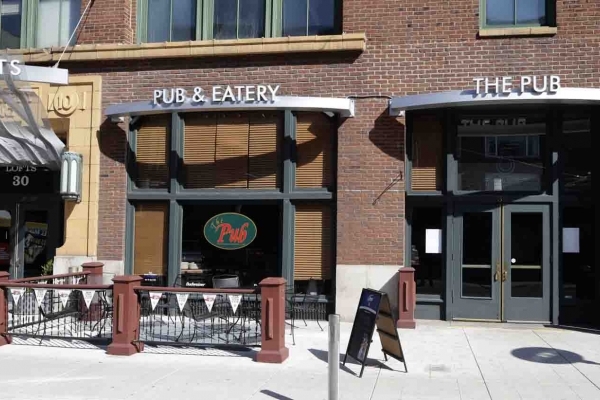 Conveniently located across Bankers Life Fieldhouse, The Pub is a friendly, casual sports bar. Root for the Pacers, the Colts or your favorite college football team or watch the Indy 500 and every other sport event on one of The Pub’s 20 HDTVs. Named after the date prohibition was repealed, 12.05 Distillery in historical Fletcher Place celebrates our right to legally drink quality spirits. 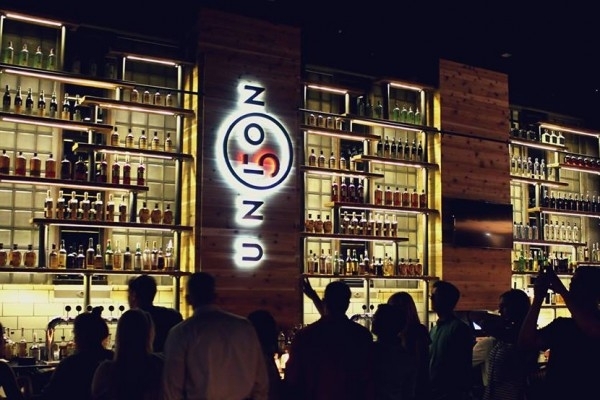 Along with vodka and gin, 12.05 Distillery has added their whiskeys to the line-up. Repeal Restaurant, located adjacent to 12.05 distillery, features craft cocktails and a 1930s-style A la carte menu. Enjoy St. Elmo’s “world famous” shrimp cocktail and filet sliders as well as craft cocktails starting at 4 p.m. Choose a classic St. Elmo’s dish from the bar menu and relax in the stylish surroundings of the 1933 Lounge any day of the week. 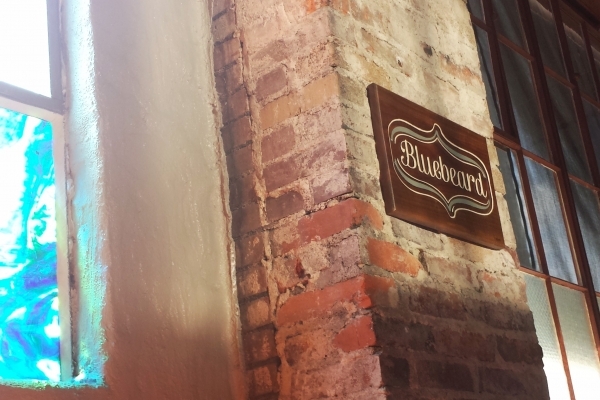 Bluebeard, located in a renovated 1924 factory warehouse in Fountain Square, offers a unique menu with a focus on local produce and meat. Libations include a carefully selected list of old and new world wines, 10 beer taps from regional breweries, craft spirits and an inspired cocktail menu. Guests at Harry & Izzy’s enjoy the restaurant’s Prohibition-era Indianapolis décor incorporating dark woods, lush fabrics and a deep color palette. The World Famous St. Elmo Shrimp Cocktail, named the world's spiciest food by a Travel Channel writer, is a Hoosier must-try (and is also sure to clear your sinuses!) The menu offerings include an array of steaks and seafood, plus an extensive gluten-free menu. 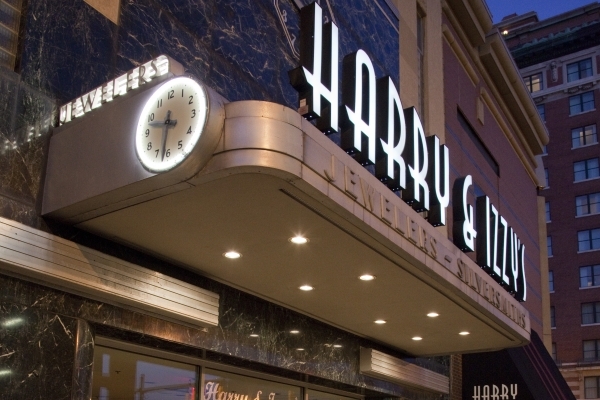 Harry & Izzy’s is the place to see and be seen enticing locals and tourists alike. Hotel Tango is not only the first craft distillery in Indy, it’s the first service-disabled combat-veteran owned distillery in the country. Featuring a tasting room and handcrafted cocktails, Hotel Tango’s unique atmosphere will always leave you wanting more. Designed by the internationally- acclaimed artist Jorge Pardo and his Los Angeles-based studio, Plat 99 is both a lounge and a work of art. Mixologists blend fresh local ingredients into beautiful concoctions, while you snack on artisanal charcuterie and regional cheeses. Recline on contemporary couches or gather around high-top tables and treat your friends to a round of inventive cocktails, international wines or regional draft beer. 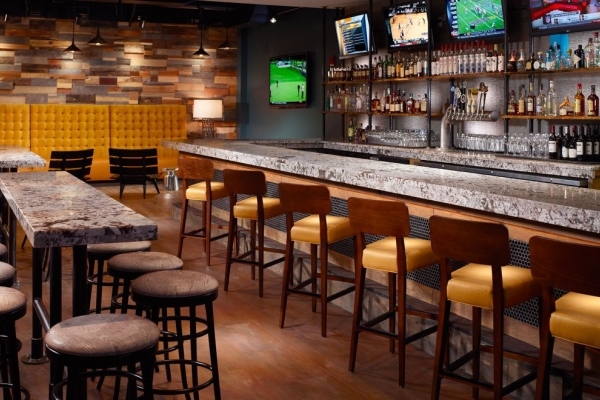 Located within easy walking distance to Bankers Life Fieldhouse and Lucas Oil Stadium, The Severin Bar inside the Omni Hotel is a great place for a drink before or after a Pacers or Colts game. 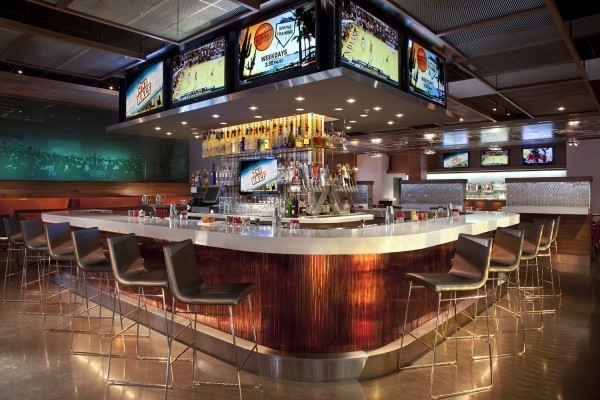 Try the famous bacon on a stick, a vintage cocktail or Indiana brew while viewing your favorite sporting events on the 12 HDTV large screens. 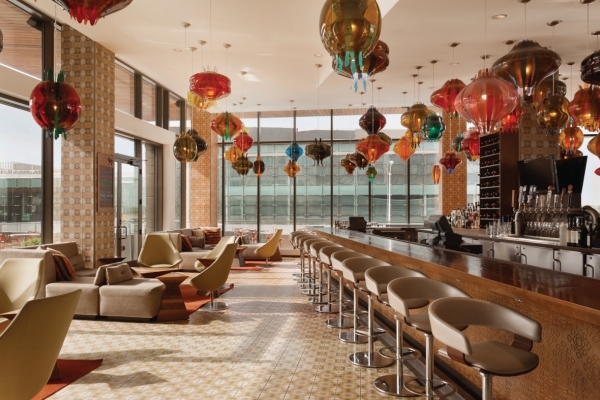 The Omni is also home to The Wine Thief, featuring fine wines, ports, cordials and small plate selections. 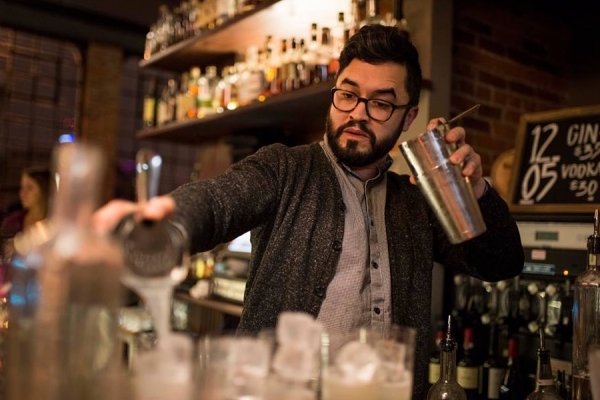 With a menu of food and drink sourced and influenced from the best of Indiana’s craft vendors and purveyors, Spoke & Steele is led by the creativity of the chef driven cuisine and simple mixology. The craft beer selection includes ten rotating taps. 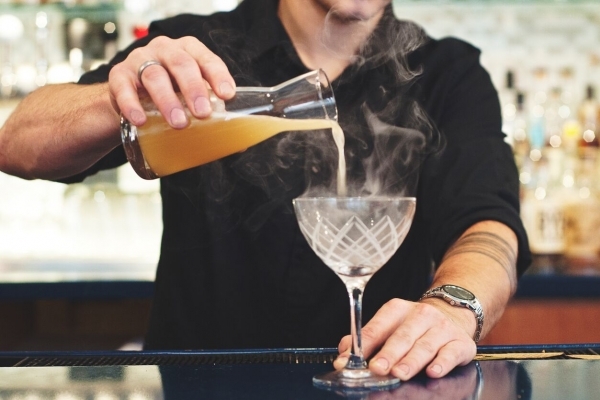 Draught spirits complement a full bar and feature selections of core artisan spirits, straight from the cask. 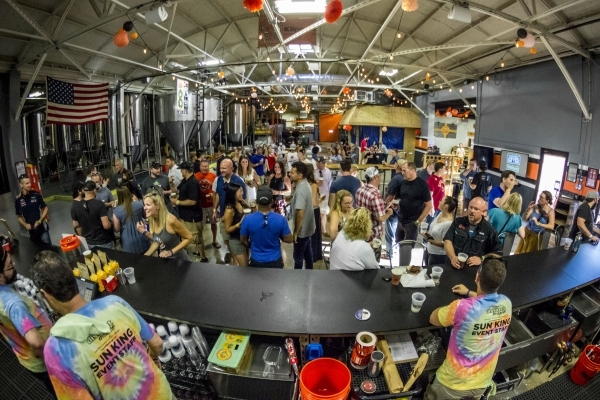 Spot Sun King Brewery at more than 1,000 bars, restaurants, liquor stores, golf courses and entertainment venues in Indiana. 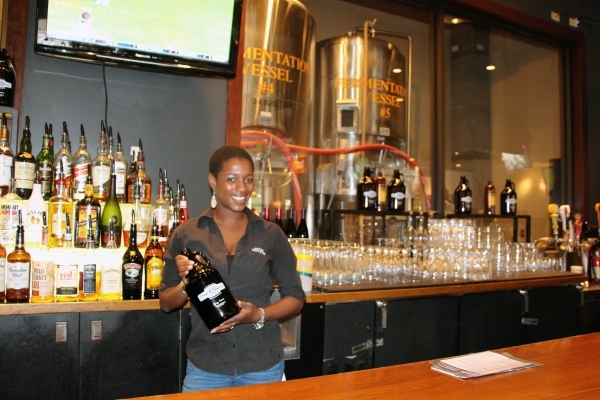 Dive deeper into Sun King’s fine craft collection by visiting the the brewery’s Tasting Room. Get up to 16 beers at once along with food from Goose the Market’s Oca. With more than 200 wines in stock, Tastings boasts one of the largest selections in the world for wines-by-the-taste and the largest selection in Indianapolis for wines-by-the-glass. The entire selection is available by two ounce tastes, by glass and by the bottle. Tastings also offers a a tapas style menu with and charcuterie plates, flatbread pizzas, crostinis, salads, sandwiches and desserts. Guests must be 21 years and older. 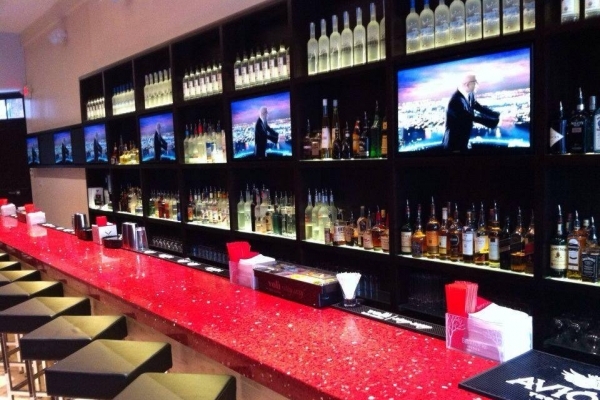 Tini is a martini and vodka bar located in the heart of Downtown Indy on Mass Ave. TV screens play music videos to entertain the lively crowd. Small-plate offerings include red pepper hummus, baked goat cheese medallions, mini Tini nachos, Tini pork paninis and goat cheese grape balls. 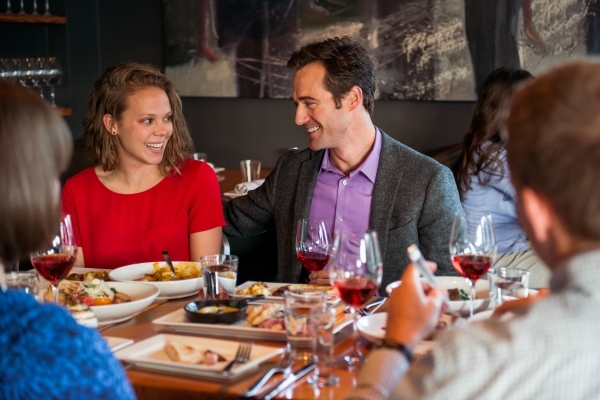 Mass Ave offers Union 50, a popular chef driven restaurant and bar featuring an innovative menu along with live music performances. 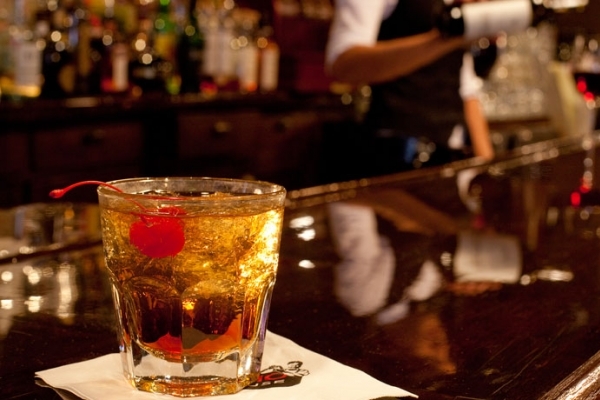 Choose from a large selection of featured whiskey, classic cocktails, seasonal options, beer, wine and more. With unique architecture and décor, the Rathskeller offers an authentic German beer hall experience year round. On summer nights, hundreds of visitors flock outside for live entertainment. Located in the 1894 German-Renaissance Athenaeum, it's hard to pass up trying the Brat 'n Kraut Balls or warm soft pretzels. Guten Appetit! 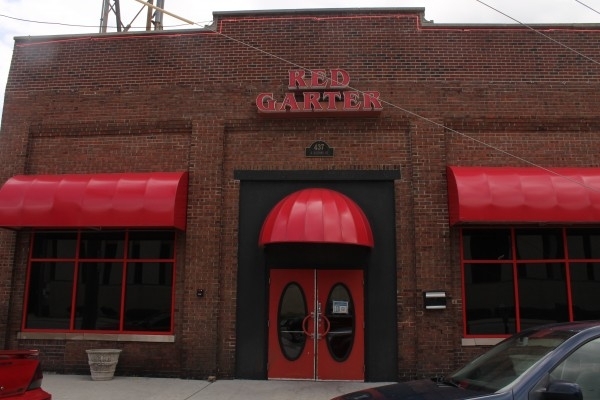 The Red Garter Gentlemen’s Club is within walking distance of all major hotels, stadiums and venues. Visit for a memorable experience including entertainment and drinks. 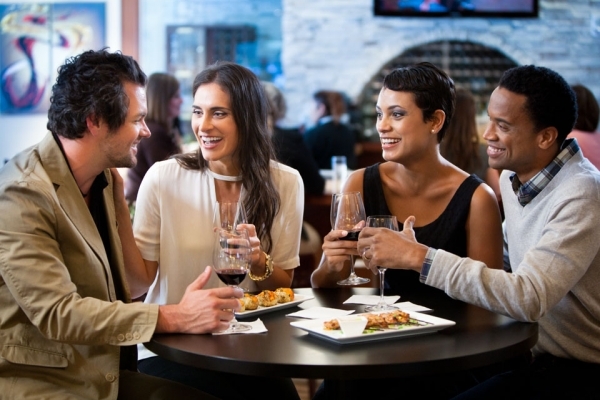 Grab a group of friends or fly solo and enjoy the show at Red Garter. 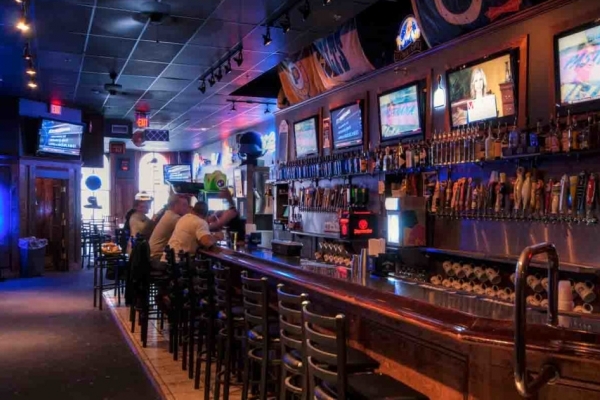 Taps and Dolls is the closest you’ll get to a neighborhood tavern in the heart of Downtown Indy. 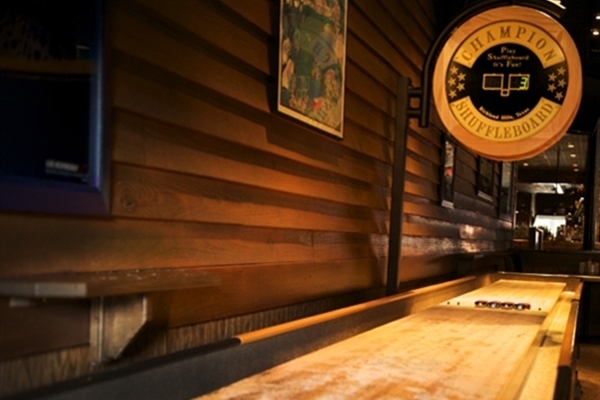 Whether you feel like relaxing and shooting a game of pool with a friend, eating pizza and trying one of 50 beers on tap or partying the night away on the dance floor, Taps and Dolls is the place for any occasion. Maintaining the authenticity of Philly comfort food, Hoagies & Hops brings Pennsylvania to Downtown Indianapolis. Choose from the classic hoagie, 9” Cheesesteaks, hot dogs and more. Take advantage of events like $5 First Fridays and more. 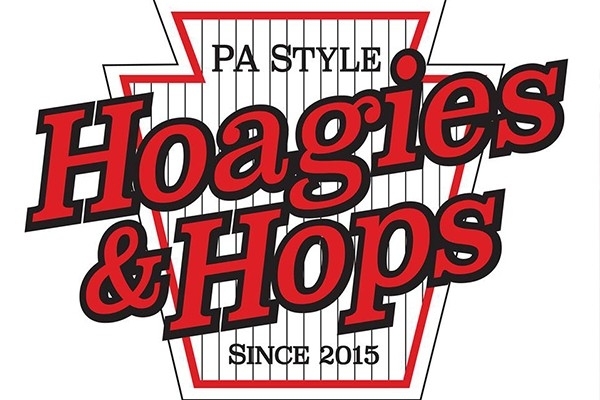 Hoagies & Hops is located inside Flat12 Bierwerks. 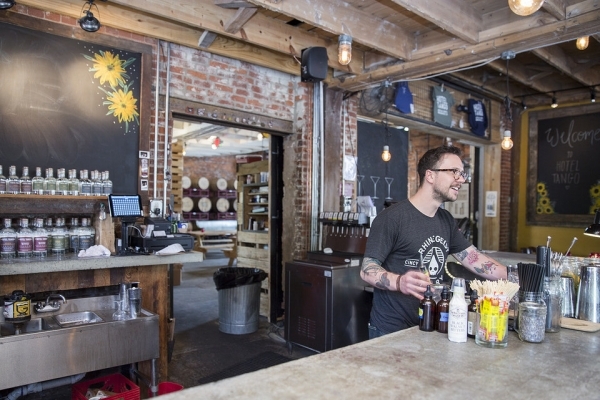 Rock Bottom is a fully functional working brewery cranking out clean, careful, creative kegs of handcrafted ales, pilsners, lagers and stouts. Find tournament-quality billiard tables, six high-definition televisions and more at Rock Bottom.